How nice is a skin care company that makes something as beautiful and gentle for baby take into consideration that maybe Mom needs something just as special? From the creator of Noodle & Boo, Glowology bring moms a fine range of decadent body butters, after glow Gels and so much more. Glowology’s Opulent Body Butter is well..indeed opulent. With key ingredients to help heal dry skin that hormones can throw at us amongst the many other things after child birth, it also is warmly comforting and soothing for the skin. Calendula is soothing, Chamomile is comforting, Shea Butter protects the skin and aids moisture, Sweet Almond Oil leaves a silky feeling behind and lastly my favorite key ingredient is Vitamin E, it protects against UV induced free radicles and goes hand in hand with the other ingredients to reduce inflammation. 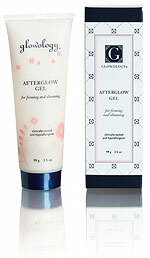 Glowology’s Afterglow Gel is another treat for moms. It’s consistency is gel like so immediately you will feel the action work on tightening the skin. I loved this after breast feeding to keep that area tight and skin healthy; something to consider after breast feeding. Put this on before dressing to show off your ample decollete, your skin will glow in the sunlight and look ultimately healthy as the sun sets. I love gel based products for this part of the body, it gives the skin such a healthy glow. Key ingredients are Algae which increases skin hydration and suppleness. Oat Proteins improve over all elasticity and smooths fine lines(again great for the decollete where we have the lines from sun damage on our chest), Rice Extract are rich in phytosterols and polyphenols making it rich in antioxidants and lastly White Tea. It STOPS SKIN FROM SAGGING, specifically because it provides protein for the synthesis of collagen and when there’s collagen, there’s elastin, they go hand in hand when it comes to the break down of collagen causing our skin to sag. Are you ready to whip out your credit card yet? 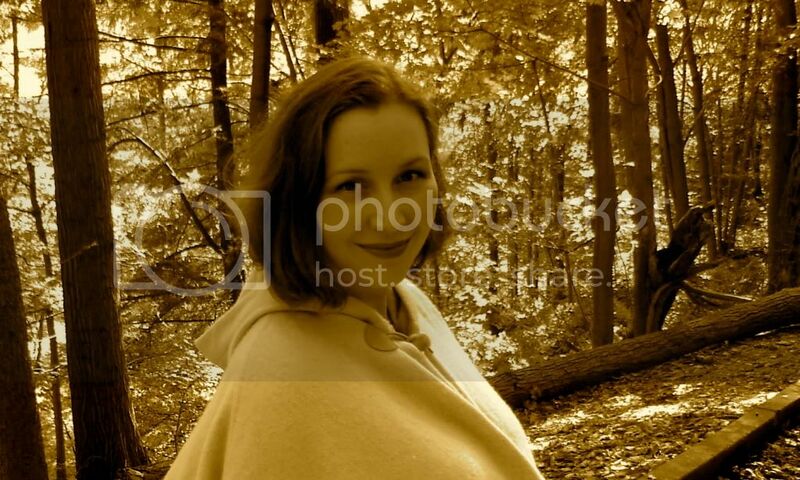 I am, amply bosom here I come to save you! If you love to use a bar soap for baby‘s delicate skin I have the soap for you. 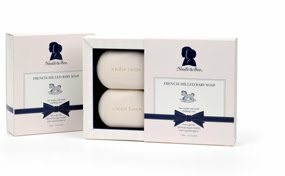 All of My Heart French Milled soap is made of pure 100% vegetable oil base that does not contain any dehydrating detergents or irritating surfactants. It soothes sensitive skin with oatmeal and aloe. Wholesome, yummy oatmeal and aloe carefully sooth while Sweet Almond Oil and nutrient rich milk proteins moisturize the skin. 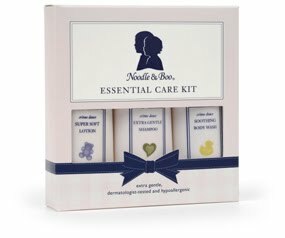 When trying out new skin care for myself and baby I love buying trial sizes and the Essential Care Kit is just the thing to get a feel for such a great line. It comes with a Super Soft Lotion, Extra Gentle Shampoo and Soothing Body Wash. It smells like a delcious little baby, soft and gentle and powdery yummy! Thank you for join my community on BlogFrog I would love to have you post topic every week or more often ,Thank you and have a nice day. A natural blend of sunflower and jojoba seed oil, with just a touch of honey, Noodle & Boo Elasticity Oil relieves dry and itchy skin. Calendula extract calms and soothes while grape seed oil and vitamin E regenerate skin helping to control stretch marks and enhance skin elasticity. Noodle & Boo Elasticity Oil relieves dry and itchy skin.